Most Americans will recognize the Gerber Baby from a mile off. The Gerber Baby brand has been around for so long that parents and grandparents are today bringing up little ones once grew up on the same baby food. Founded in 1927, Gerber became a household name with baby food and clothing, before being acquired by Nestlé. The longevity of Gerber makes it one of the most trusted baby product brands, despite the arrival of several competitors. Gerber’s subsidiary, Gerber Life Insurance, banks on this reputation to sell its own products. In fact, the life insurance company is no less popular than the baby food company, being one of the most sought-after brands among consumers throughout the US. But despite the fact that the insurance company has been in business since 1967, not many changes have been made to how it functions. This is the reason why the company is yet to reach the level of its competitors. 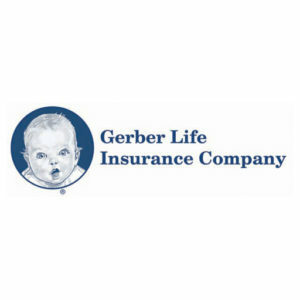 Gerber Life is licensed to sell policies throughout the US as well as Canada and Puerto Rico. As of 2017, Gerber Life has approximately $50 billion in policies. Being a life insurance company, Gerber Life offers different types of policies, both for children and adults. But the one that is the most popular is the Grow-Up Plan. The reason for its popularity is the advertisements on TV and in print, and also on social media platforms like Facebook despite Facebook going through all those issues. The hype surrounding the policy has made it more widely known than Gerber’s other policies. As the name suggests, this is a policy for children. But as with any children’s life insurance policy, parents must first find out if the policy is worth the investment. Let’s take a look at the Gerber Grow-Up Plan. The Grow-Up Plan is a children’s whole life insurance policy, providing financial protection, building cash value, and offering the guarantee of life insurance coverage for a lifetime. According to Gerber Life, new parents are made to believe that the Grow-Up Plan is more affordable than any other child insurance policy. For instance, a $5,000 policy for a little boy under one year of age is as little as $3.41 per month, and for a girl, under one year of age, it’s only $2.84 per month. The company wants consumers to believe, is that the premiums never go up. The coverage amount doubles when the child turns 18, at no extra cost. When the child turns 21, the ownership of the policy transfers to the insured, and he or she can cash out the policy if they like. Under the Gerber program, your child as an adult can also buy additional coverage at standard rates, up to 10 times the original coverage. Parents, grandparents, and permanent legal guardians can apply for the Grow-Up Plan when the child is between 14 days and 14 years old. The company promises that as long as the premiums are paid, the policy accumulates cash value. Another marketing vehicle for child life insurance is that buying insurance is more expensive later, so why not lock in a lower premium at an early age. Since affordability is a key factor here – $36 – $50 a year (for coverage of $5,000) is pretty cheap – most new parents are lured. But is the investment worth it? To answer this question, we must first understand if children need life insurance at all. Is child life insurance necessary? First and foremost, life insurance exists to compensate for the loss of income when the policyholder suddenly dies. This refers to adults who have an income. Any adult with dependent children, parents, siblings, or spouse, can go for life insurance coverage, to make sure the ones that rely on his income are financially supported if anything were to happen to him or her. This is the very reason why insuring the life of a child doesn’t make sense. The loss of a child is emotionally devastating, but not financially. Even if the child has an ailment that requires expensive treatment, it usually is covered by a health or medical insurance. Unless the child is an up and coming star and provides income to the family, child life insurance doesn’t make much sense. There are, however, a few exceptions when getting life insurance for a child may be necessary. If your child develops an incurable genetic condition, it not only affects his chance of getting child insurance but also his chances of getting life insurance as an adult. Children with disabilities have a tough time getting insurance coverage when they grow up. For instance, if a child is diagnosed with Down’s Syndrome at 18 months of age, he or she becomes ineligible for both child insurance as well as life insurance as an adult. If there is a genetic condition that runs in the family and/or if your child might get it in the future, get life insurance for your child. It is critical. However, if there is no possibility of your child developing a grave ailment, buying life insurance isn’t necessary. Whether from an ailment or an accident, the death of a child is always emotionally devastating and can also pose a certain financial strain on the family under some circumstances. For instance, not many families might be able to afford the funeral costs for the deceased. In the US, the average costs of a funeral range between $5,000 and $10,000. This could be a financial burden on the family that is not well off or does not have any savings. Purchasing life insurance for the child offers peace of mind since the final expenses would not be a financial strain on the family if tragedy occurs. However, it is also rare for young children to die, unless they have a serious ailment or get into an accident. This is part of the reason why life insurance premiums for children’s policies are comparatively lower to that of adult life insurance policies. It must also be noted that a funeral is never held back because of lack of money. Many funeral homes offer services free of charge for those unable to afford the funeral costs of a child. Though it will be a basic funeral with a basic casket. If funeral expenses are the only reason why you might be thinking of investing in life insurance for the child, then a better option is to save that money elsewhere or invest it in a mutual fund for later use. If your child has a grave ailment that needs you to stay home and take care of him or her, then your job and income will be affected. If you are the sole income earner, this puts the family under severe financial burden. While your child’s income may not be something you’d need to worry about, your own income is essential. If you need to leave your job or take unpaid leave to grieve or to take care of other responsibilities, the insurance money will help keep you going as long as you are not working. The children’s life insurance by Gerber is more aggressively advertised than any other whole life insurance policy. The reason for this is simple: life insurance for children is unnecessary, but the company tries various means to convince you that it is vital for your child. You can see advertisements for the Gerber Grow-Up Plan on TV, social media, and also on billboards. In some advertisements, it is also shown that the Gerber Life Grow-Up Plan is currently accepting applications. Although this is done to give an air of exclusivity to the policy, there is actually nothing exclusive or special about the plan. There has never been a time when Gerber Life wasn’t accepting applications for the Grow-Up Plan. Parents (or grandparents or legal guardians) need to answer a series of questions, but there is no medical exam required. As with any insurance policy, there are some distinct advantages and disadvantages of the Gerber Grow-Up Plan. Let’s talk about the advantages first. Wide selection: Gerber Life Insurance Company offers numerous other policies too, besides the Grow-Up Plan. Many people prefer a whole life insurance policy that has a nice selection of coverage options. This is what Gerber does better than many other insurance companies. For infants and young children, the Grow-Up Plan is a popular choice. There are other options too, for those who are 18 or older. There’s a college savings plan, a traditional Whole Life Plan, Guaranteed Life Plan, Accident Protection, and Term Life Plan. If you buy life insurance for your child, the ownership not only transfers to the child after 21 but can also be turned into any of the above policies at no extra charge. For instance, once your child is 21, he or she can either cash out the Grow-Up Plan or purchase an Accident Protection Plan or Term Life Plan instead. This isn’t something that many life insurance companies offer. Trusted name: Gerber has been around for years, and has garnered enough trust when it comes to baby products. People naturally assume that Gerber is a leading name in all things related to babies, so they tend to trust their Grow-Up Plan. Some consumers, in general, feel more confident about purchasing insurance from a company that they have known for such a long time. Gerber has been a household name for nearly 100 years, enough to instill that sense of trust and confidence in people. Although the brand name has nothing to do with the actual coverage, it is still better than buying insurance from a no-name company. Not enough cash value: Child life insurance policies usually come very cheap because children are generally healthy and have a long lifespan. But is the policy worth investing in? In most cases, it isn’t. According to the Gerber Life website, for someone who lives in New York, the monthly premium to insure a three-year-old is a mere $7.22, which roughly amounts to $86.64 a year. This sounds inexpensive enough, especially because it promises to be both insurance and an investment. But is the value of the investment worth it? Gerber Life says that the cash value begins only in the policy’s fourth year with, and it’s a mere $27. When the child turns 18, the cash value grows to $705.60, after paying around $1,300 over the years. If investing is what you are after, then a better option is to put $80 to $90 a year in an emergency savings account. Even if you save that money under your pillow for 18 years, the cash value will be more than what the Grow-Up Plan offers. In short, a child life insurance is not the best place to invest money. Not best for college savings: A major selling point of Gerber Life is that the cash value of the Grow-Up Plan helps pay for college. But in reality, with the meager cash value of the Grow-Up Plan, it is hard to pay for college. Besides, there are several better ways to save for college, the best and most common among them being a 529 College Savings Plan. This is an investment plan with education-specific tax advantages. It is basically an IRA, but for college savings. The biggest advantage of the 529 College Saving Plan over child life insurance policies is tax breaks. The plan is mostly tax-free, and as long as you use the money for legitimate educational expenses, you don’t have to pay a dime in taxes. This is awesome even after those tax cuts. The money from the 529 plan may also be used to pay for private high school or university. You don’t even need to declare your earnings from the 529 plan, because it isn’t counted as income. That isn’t the same for child life insurance. If you get a payout of $100,000 from a child life insurance policy, it counts as income and puts at risk the possibility of getting grants, scholarship, or financial aid. Stigma around child life insurance: Children usually do not help the family with either money or labor. The loss of a child is devastating and unfathomable, but it doesn’t leave the family in financial extremis (unless the child is a star unlike Star Wars The Last Jedi or Thor III but this is another topic!). That is why children never require life insurance, unlike adults, who contribute money or labor to the household and others depend on them. Unless the child has a possibility of developing a rare medical condition later, getting child life insurance is not recommended and at times, viewed with suspicion. And there are several cases to prove this. Killing for insurance money makes up the plot for many a thriller. But the same also happens in the case of child life insurance. There’s a case in Maryland where the father allegedly drowned his toddler in an attempt to get the $560,000 in child life insurance policies issued by a number of companies (including Gerber). Another case in Georgia involves the father allegedly killing his 22-month-old son by locking him in the car on a hot day. The motive behind the murder was to collect the $27,000 in life insurance policies on the child. Not surprisingly, there’s no good word about child life insurance in the industry. It is usually a waste of money and is of no use to the child when he or she grows up. Besides, there are various insurance policies available to people of all ages, often without requiring medical tests. Once your child grows up, they can figure out on their own how they want their life to be insured. If you still believe that your child needs life insurance, then first insure your own life. Think of this: if your child dies, you have the money to bury them. But if you die, where will your child get the money to bury you? That is why, instead of putting money in a child life insurance, invest it wisely by buying yourself a life insurance vehicle. If you have good reason to be concerned about your child’s future insurability, a wiser option is to purchase a child protection rider on your own life insurance. A child rider is much like a child life insurance that can be added to your own insurance at a nominal charge. In most cases, when the child turns 25, he or she can convert the rider into full adult insurance for up to as much as five times as the original rider coverage without any medical exam. It is an affordable way to insure your child while also offering the option of turning it into permanent life insurance after age 25. Instead of putting your money in a plan like Gerber’s, you’d be better off giving your child a protective rider on your own life insurance. The money you’d be putting in the Gerber Grow-Up Life Plan can be invested in a 529 College Savings Plan or a mutual fund. See available no exam life insurance products. Compare the top term life insurance companies in our data-backed rankings here. See our ratings and reviews of the best burial insurance companies. Complete review of Colonial Penn from a consumer standpoint including rates, customer service and financial strength. See what we say about Globe Life before you decide if they are the right company for you.